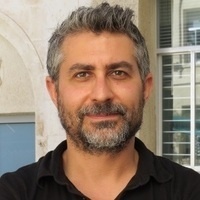 Omar Dewachi, Associate Professor of medical anthropology at Rutgers University will deliver a lecture titled, Iraqibacter: Ecologies of War and Anthropology of Wounding. Iraq's healthcare has been on the edge of collapse since the 1990s. Once the leading hub of scientific and medical training in the Middle East, Iraq's infrastructure has been undermined by decades of U.S.-led wars, sanctions and invasions. This has been further accentuated by the dearth of empirical knowledge about Iraq in the social sciences, which has often rendered Iraq as ungovernable in swath of scholarship. Building on my ongoing ethnographic research on wounds and wounding, I explore some of the long-term consequences of Iraq’s healthcare dismemberment. I interrogate the rise of Anti-Microbial Resistance (AMR) infections among militant and civilians injured in Iraq (and across the region) since the 2003 US-led occupation. I ask: what is revealed in the wound? And focus on the mystery of Iraqibacter, a moniker given to Acinetobacter baumannii—a superbug, defiant of most antibiotics and commonly associated with the Iraq War Veterans in the United States. I show how unravelling ethnographic, historical, and microbiological knowledge about Iraqibacter show deeper entanglements of this killer superbug in the political, social, and environmental manifestations of long-term war in the country, and its present-day fallout across the region.